Why would anyone write a letter and then not send it? 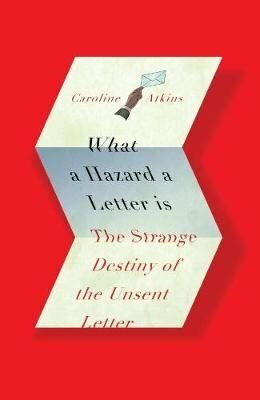 `What a Hazard a Letter is,' wrote the poet Emily Dickinson, thinking of `the Hearts it has scuttled and sunk'. Once sent, a letter cannot be taken back: it is like a depth charge dropped into the future, into other people's lives. The moment they're written, letters become, as Janet Malcolm puts it, `fossils of feeling': they fix and freeze the sentiments we had at the time, though our lives may quickly move on and we may all too soon have second thoughts. But what if, once written, a letter is not sent - or never arrives? being mailed; letters whose non-arrival sets a novel's plot careering down a new track; and tender words of love that never quite got said - all, in their way, a little more eloquent for being unsent. 'A curious, astute and entertaining collection ... utterly original', Sunday Times. Caroline Atkins is a writer and editor for the Mail on Sunday's You Magazine. She has written several books on design, and edited magazines for the National Magazine Company. She lives in London.